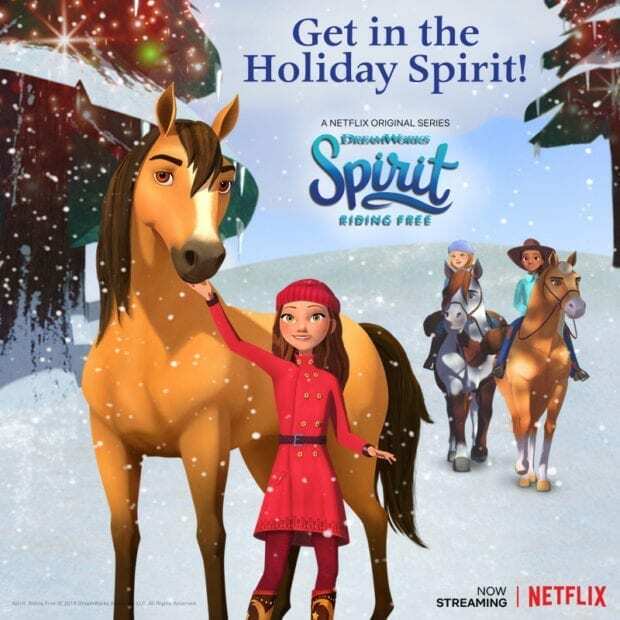 Get in the holiday SPIRIT with Season 7 of SPIRIT RIDING FREE! The new season is out November 9th and we are very excited about it. My girls love this show and seeing the horses. To celebrate we have a fun giveaway for you at the bottom of this post. Big adventures canter into Lucky’s life in all new episodes of DreamWorks Spirit Riding Free streaming on Netflix November 9! Together with Pru and Abigail, Lucky and Spirit journey to the rescue in wild new expeditions, including saving a missing girl and even their own dads! Join the PALs when Miradero gets pranked on April Fool’s day, or when Snips pretends to be Lucky’s little brother for the day. Of course, nothing ever goes as planned, and the BFFs learn to overcome life’s challenges through the strength of friendship and teamwork. Catch Season 7 of SPIRIT RIDING FREE Netflix this Friday, Nov. 9 only on Netflix! Along with the new season, there are new toys and books that have been released as well. Check out our video of some of them! This walking Spirit horse is the highlight of the bunch. The new Series 5 of the horses is out now as well. The book is written like a diary and looks really great. 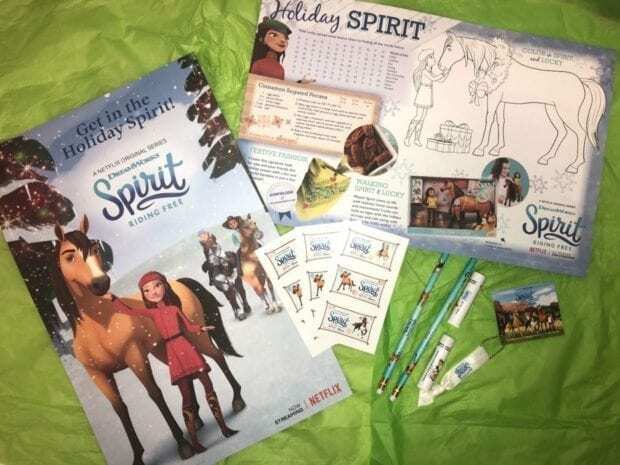 Win a Spirit Riding Free Prize pack! I like the Walking Spirit and Lucky. I love that he walks and makes noise. I like the walking Spirit. We liked the Walking Spirit. The walking spirit toy is really awesome, my granddaughter would love it!